Parole in place immigration? What is that, and how could you use parole in place to help a military spouse? Simply put, parole in place is a way for a military spouse to have an illegal or undocumented entry to the United States forgiven. With this forgiveness, that spouse may adjust his or her status in the United States. Green Card Application Process is simple and flexible with our services. Therefore he or she becomes a lawful permanent resident, and obtains a green card. Parole in place for a military family is therefore a significant benefit. Think about the alternative. The spouse must leave the United States, possibly becoming subject to bars to reentry. Then the spouse must process for an immigrant visa at a US consulate in the spouse’s home country. Parole in place first started in 2007. The USCIS denied an application for lawful permanent residence filed by the spouse of a US armed forces citizen. It requires intensive formalities need to be carried out before reaching to the main Process To Get A Green Card. Immigration and Customs Enforcement (ICE) then started removal proceedings against her. With no lawful entry into the United States, the military spouse was not eligible to adjust status. The only option the Immigration Court offered her was departing the United States. She could then apply for an immigrant visa in her home country. Due to her illegal entry to the United States, and the period of time that she had stayed here, she would have been subject to the 10 year bar to reentry. Her situation was worsened by the fact that these problems occurred when a husband was deployed in Iraq. To make matters worse her husband was killed in action. When her case received national media attention, the secretary for the Department of Homeland Security exercised his authority. He allowed her “discretionary parole.” With the parole, this military spouse was eligible to adjust status. She received her green card and became a lawful permanent resident. After this first case, the USCIS has allowed other military spouses this discretionary benefit on a case-by-case basis. You can read about it here. The parole in place application process is still unsettled. Military spouses apply in a local USCIS office with jurisdiction over them. Each office has its own particular procedure. Many offices require the completion of form I131, application for advance parole, and payment of a biometrics fee. In all cases, because of the discretionary nature of this benefit, the applicant should show that they deserve the discretion that they seek.Parole in place is a wonderful benefit that can help members of the military family. Green Card Process Steps are precise and to the point. However, it is important to remember what it is, and what it can accomplish, and what it cannot do. Yes, applying for parole will allow an applicant in a military family to apply for adjustment of status here in the United States. But it will not fix all of the immigration problems besides the illegal entry. For example, if there are any other immigration violations such as an application is inadmissible due to a crime, parole in place will not waive this ground of inadmissibility. Similarly, if a person was inadmissible due to another immigration violation like a false claim to US citizenship, applying for parole in place will not fix this problem. If you are considering whether or not you might benefit from parole in place, it is wise to receive advice from an experienced immigration attorney near you. Immigration Resource Guide can help you file the parole in place application. 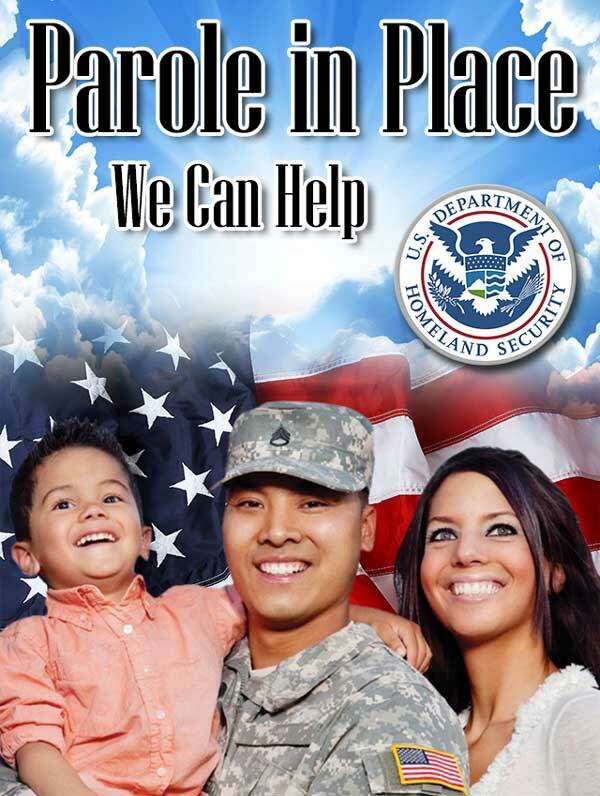 We have experience assisting military spouses applying for parole. Perhaps more than simply meeting the parole in place requirements in filing with the USCIS, we can help you understand your immigration circumstances to make sure that parole in place application is right for you. We provide parole in place assistance to clients in Montana, Wyoming, North Dakota and Colorado, but can help you no matter where you are located. If you would like a consultation with Immigration Law of Montana about parole in place and your eligibility for adjustment of status, please contact us.